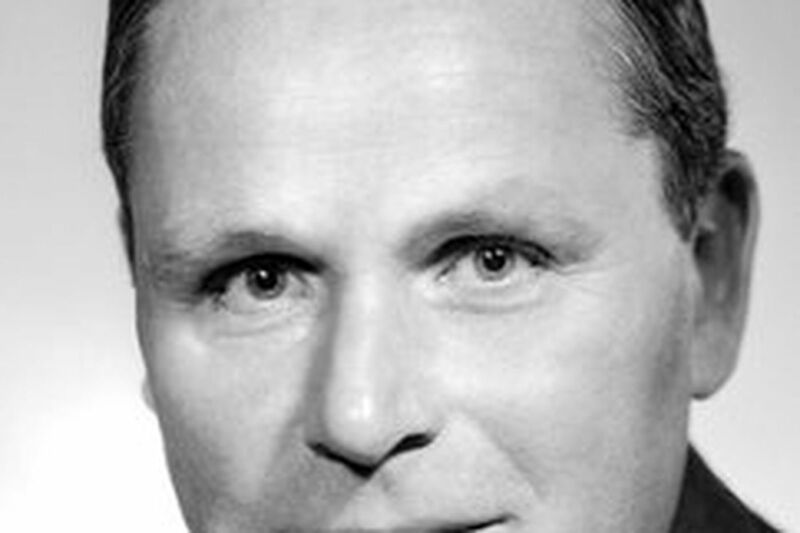 William Green Foulke, 94, of Chestnut Hill, retired chairman of the former Provident National Bank, where he worked for nearly 35 years, died Friday at his home. Mr. Foulke had suffered a stroke six months ago, his son Walter said. Mr. Foulke attended St. Paul's School in Concord, N.H., and followed in his father's footsteps when he graduated in 1934 from Princeton University with a bachelor's degree in English literature. That year, he married Louisa Wood, and the couple raised three children in Chestnut Hill. For the next five years, Mr. Foulke worked for Pardee Co., a timber, coal and mineral firm in Center City founded by his grandfather Calvin Pardee. It had interests in the Appalachian Mountains in West Virginia, Kentucky and Louisiana. He joined Provident in 1939 as a junior officer. Mr. Foulke interrupted his banking career in 1941 when he joined the Navy. He was an aide to an admiral during World War II before being discharged in 1945 as a lieutenant commander, his family said. Mr. Foulke returned to Provident and rose through the ranks. He was named president in 1962 and chairman in 1969. During his career there the bank grew to become Philadelphia's fifth-largest bank before merging with PNC. After retiring from Provident in 1974, Mr. Foulke became chairman of what had been renamed Pardee Resources Co. He retired for good in 1979. Mr. Foulke served on many boards, including the Pennsylvania Bankers Association, of which he was president in 1970, Bulletin Co., Commonwealth Land Title Insurance Co., and Germantown Savings Bank. He served his community for decades as a member of the board of managers of Pennsylvania Hospital, head of the Fairmount Park Art Association, and board member of the Pennsylvania School for the Deaf. A sportsman, Mr. Foulke was captain of the tennis and squash teams while at Princeton, where he was squash champion. He was inducted into the Intercollegiate Squash Racquet Hall of Fame and, in 1971, won the Court Tennis National Senior Doubles Championship with W.J. Clothier. He spent 50 summers in Seal Harbor, Maine, where he was a fly fisherman. Mr. Foulke was a member of the Shakespeare Society of Philadelphia for 45 years. "He was, in the best sense of the phrase, a quintessential Philadelphia gentleman and a great father," his son said. In addition to his son, Mr. Foulke is survived by a daughter, Louisa Foulke Newlin; another son, William G. Jr.; eight grandchildren; and nine great-grandchildren. His wife died in 2001. A memorial service will be held at noon April 20 at St. Thomas' Church, Bethlehem Pike and Camp Hill Road, Fort Washington. Burial is private. Memorial donations may be sent to St. Thomas' Church, Box 247, Fort Washington, Pa. 19034.